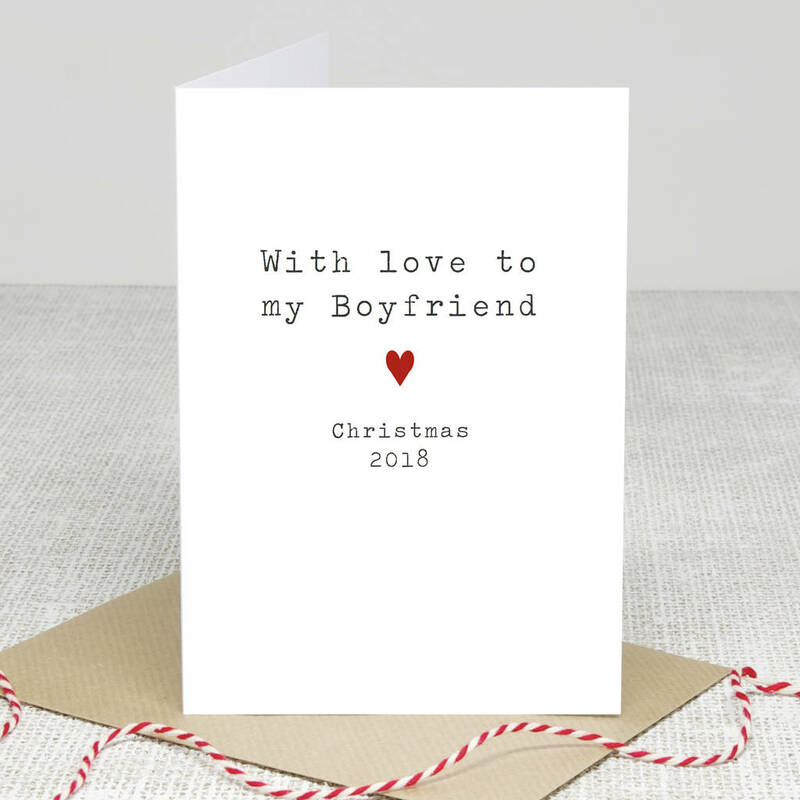 Our 'Boyfriend Love' Christmas card is the perfect way to send your Christmas wishes to the one you love. 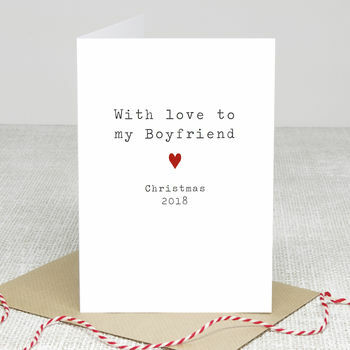 The perfect way to mark spending Christmas 2018 together. Our cards are left blank inside for you to write your own romantic message.